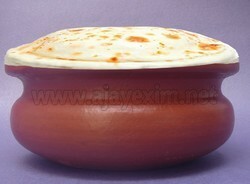 Matti Kala curd pot, we can store the curd up to 3 to 4 days. You will get a delicious natural taste while making curd in mattikala pots. Kulfi matka made up of mud with quantity of 100ml. 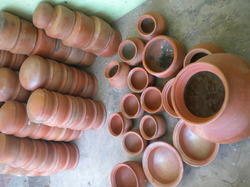 We are manufacturer and trader for mud products.We offer wholesale and retail to our client. The Unique Arts Store - Manufacturer of marriage stage & Exterior Decor Mud Pots.